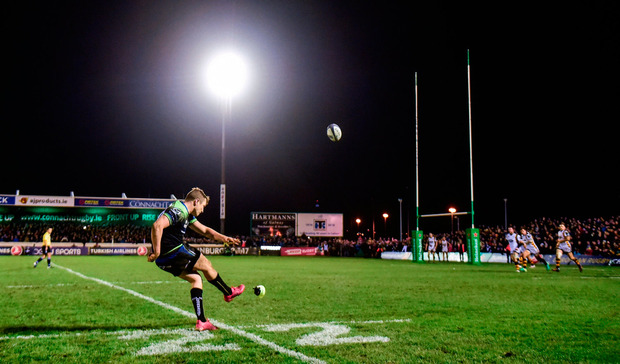 Jack Carty was fully aware of what people were saying about him coming into Saturday's game, yet as the silence descended over the Sportsground on Saturday evening the Athlone native was able to shut out the voices in his head. The quiet didn't last for long. After he nailed the winning touch-line conversion, his team-mates mobbed him and the fans soon followed. Bedlam descended on the Galway venue once more in 2016 as the Connacht story continued to give. The dream of a European quarter-final looked to be gone when Josh Bassett touched down for a dominant Wasps side but perhaps Pat Lam's greatest legacy is the Westerners' refusal to bend. 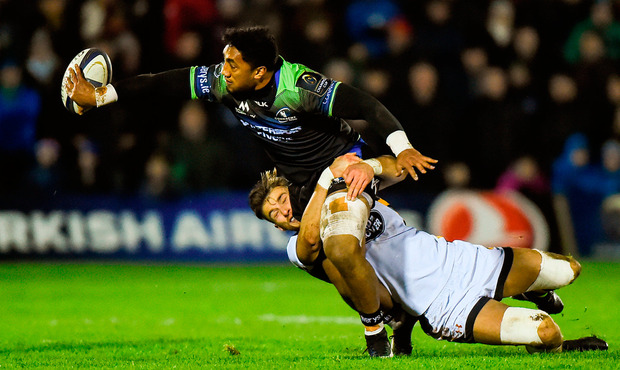 Debutant Naulia Dawai may only be in Galway a few weeks, but he has already bought in. His charge-down and Niyi Adeolokun's brilliant turnover set up the lineout from which the Fijian touched down at the back of a maul to set up Carty's shot. The 24-year-old local-born out-half proved the hero after shipping plenty of flak for his goal-kicking inaccuracy. His misses were far from the sole reason behind the Irish side's defeat to Wasps in Coventry, but they didn't help and his name was taken in vain throughout the week. He heard it, he absorbed it and he resolved to get better. IRFU kicking coach Richie Murphy spent much of the week working on his technique with Connacht legend Eric Elwood and the hard work reaped a big reward. "We understand we are in a performance industry and the only currency the boys have is the performances they are judged on," Pat Lam said. "But the performance comes on the back of the work. Guys are going to make mistakes, it's high level stuff. Not just this week. Jack, right through his career, I have watched his development and it has been ongoing. "I see he takes it to heart but there is only one way you can go, just dust yourself off, get up and start doing the work, there is no point feeling sorry for yourself. It's just using that motivation to drive you more at training. "We know there is out-half issues right throughout the country and Jack is now racking up a lot of games. "That was the plan when I arrived here, Dan Parks was here and he was the young guy and he learned off Dan but needed to start racking the games up because he is a local boy from Connacht, he is an Irish 10 and I know you can look back many times when people were having a go but it's a tough job that out-half position, the only way he is going to get better is the experience. "He has had battles, he had the challenge of AJ MacGinty, he has had injuries, we all know that his spleen is gone. "He has had knock-backs but he has also worked hard to get back there and it's a great day, one that he can put in reserve and use the experience to make him go to another level as well." The confidence of nailing that kick and soaking up all the love the Sportsground has to offer will stand to him in the coming weeks. Injuries to his rivals means Carty has an unbroken run ahead in the No 10 jersey, with the Ireland coaches sure to be watching as he leads Connacht's backline against Ulster and Munster in the coming weeks. 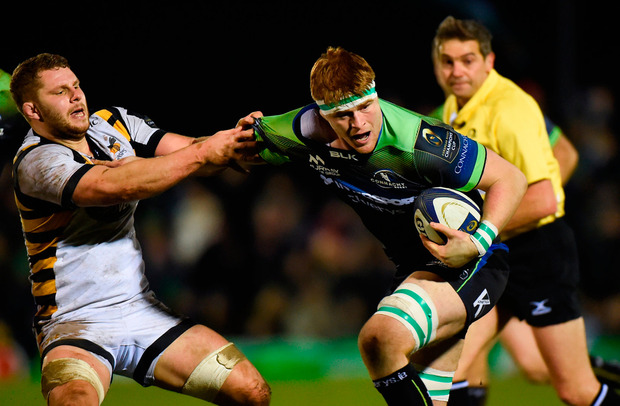 At 24, he is a peer of Paddy Jackson and JJ Hanrahan and has plenty of development to go. He missed his first kick at goal, but didn't let it get to him and nailed the subsequent four. It is too soon to say whether the conversion will be a game-changer in his career but it is a moment he can cherish. "I was aware of it," he said of the criticism. "Certain kicks, like my first one; they're the ones that you need to be nailing. "You are obviously aware of it, I try to block it out, when maybe when I was younger last year or the year before those things might have gotten to me. "But I know that if I keep working, work with the right people - I was working with Eric [Elwood] and Richie Murphy this week quite a lot - and that kind of pointed me in the right direction and it's about building on that now. "I'm under no illusions about the work-ons I have to do. I'll focus on my defence and in the off-season I think I've made good strides with that. "It's about the consistency of my game, there's a lot of ups and downs over the last few weeks and during the game, you could see I missed a kick to touch. "That's tough on the forwards when they see the kick of a ball loosely. I suppose it's about ironing those things out and then hopefully I'll be in contention." 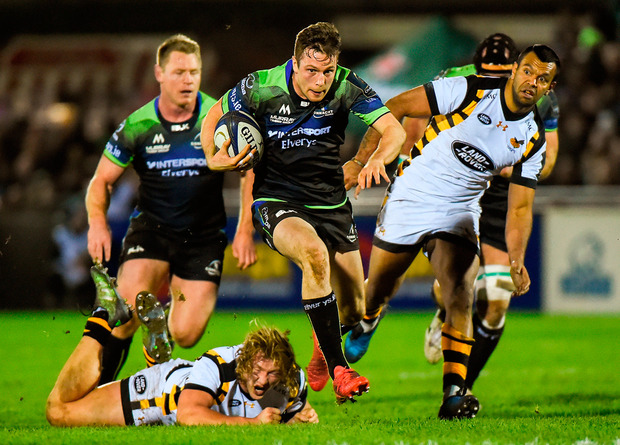 The kick to win keeps Connacht's last eight hopes alive and they got there on the back of a performance full of character against a strong Wasps side who remain in control of their own destiny. The hosts weathered a first-half storm and led at the break as Danie Poolman's brilliantly-worked try cancelled out Joe Simpson's effort. Bassett looked to have won it, but Dawai and Carty had other ideas and Pool 2 is going down to the wire as a result. CONNACHT - T O'Halloran; N Adeolokun, R Parata, B Aki, M Healy (D Poolman 31-40 blood); J Carty, K Marmion (C Blade 74); D Buckley (JP Cooney ), T McCartney (D Heffernan 64), F Bealham (C Carey 62-70); U Dillane, Q Roux (L Stevenson 72); E McKeon (S O'Brien 54), N Fox Matamua (N Dawai 74), J Muldoon (capt). WASPS - R Miller; C Wade, B Macken (A Leiua 66), K Beale (F Halai 78), J Bassett; J Gopperth, J Simpson (D Robson 54); M Mullan (T Bristow ), T Taylor, J Cooper-Woolley (M Moore 59 HIA); J Launchbury (capt), K Myall; A Johnson (A Rieder 72), T Young, N Hughes (G Thompson 65).